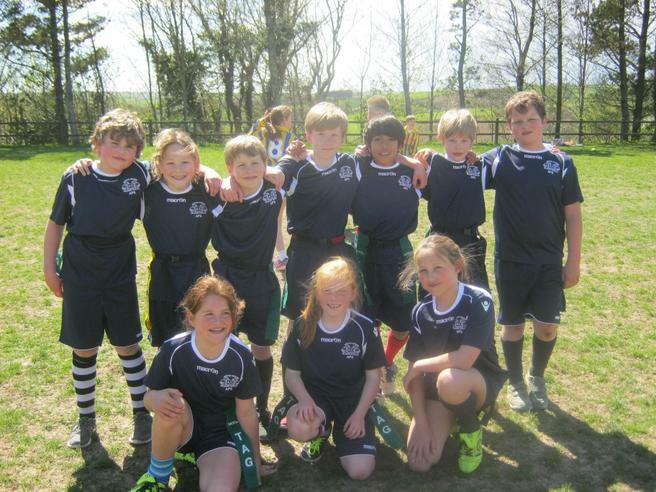 On Thursday 28th April our Tag Rugby team travelled to Kingsbridge Rugby Club to take part in the Kingsbridge Area Inter-School Tag Rugby Tournament. Tom, Joss, Luke, Ashley, Charlie, Reuben, Benji, Niamh, Jessie and Rosie were all very excited and looking forward to the competition. The team lost their first match, won their second and Miss Naylor and the team thought that they had drawn the third but the match was awarded to the other team. Nevertheless, they had done enough to progress through to the semi-finals of their group. Unfortunately, despite a valiant effort and some great team work, they didn't win this match. We would like to say a very big "Well done" to them all and thank you to Mr and Mrs Cadle and Mr Eatwell for all of their help in getting the children ready for the tournament.